A while ago I was contacted by the founders of Christian Giftshop asking if I could be interested in doing presentation of their relatively new business. As I always do in these situations I had a look at their website and tried figure out their business/products were appropriate for a feature on the blog. I don't think religion is a topic appropriate for a blog like this but I also know religion is important to many and religious values are the basis for many a gentleman's life. I also like the products they have for sale. Firstly, their products are properly crafted items of the highest quality and secondly, the products of interest for the gentleman reading this blog (cufflinks, crosses...) are subtle and elegant in their design and perfect for your personal expression of your beliefs without being intrusive. They also have excellent gifts for Christenings and other occasions, as well as some lovely children's toys. My own son was very fascinated with the story of Noah and I'm sure he would have loved the wooden Noah's Ark. But who knows the business better than the owners themselves and I have the pleasure of giving the word to Christina from the Christian Giftshop. Christina has written a very nice presentation of the business and products. Thank you for your contribution! Online Christian Giftshop started nearly a year ago selling attractive presents that are Christian-themed in a tasteful, subtle way. There are ideas there for every room in the house and for every member of the family. It is a unique source of presents for Christenings or Confirmations, birthdays, weddings, for Easter or Christmas. We started by attempting to source stock at trade fairs but ended up as manufacturers, designing and making almost everything here in the UK. In our Jewellery Section we stock some lovely jewellery which is made by master craftsmen in Liverpool, Birmingham, London and Suffolk. 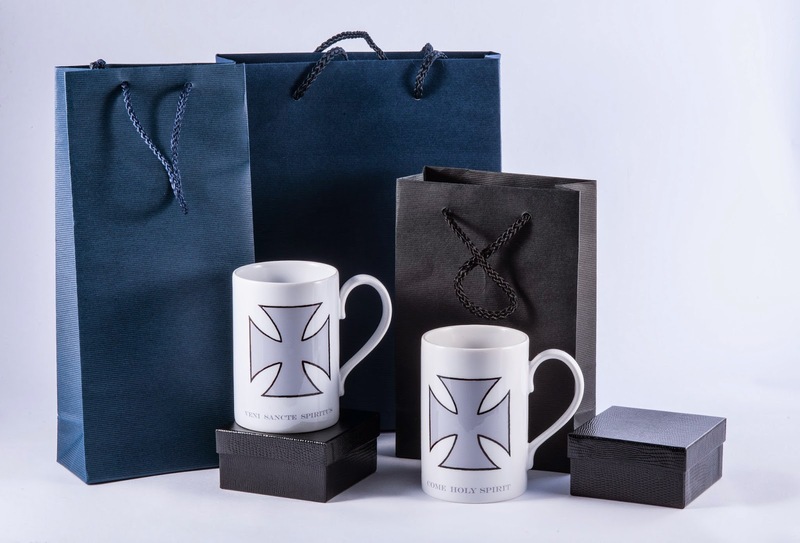 ChristianGiftshop are also rather exacting about packaging – the cufflinks, which come in chic presentation boxes, are packed with lashings of turquoise tissue paper in smart, black, ribbed presentation bags. Tiffany could do no better! Our best-selling Fine Oval cufflinks, which come in a “classic” box, are not only a beautiful product, but are really very good value. They measure 20 x 11mm and weigh 12.5 grams with a lovely Maltese Cross hand-engraved on one side, leaving the other for personalisation. There is a choice of 15 designs from Gothic English to Art Deco, hand-engraved at cost – but remember that personalisation takes up to a fortnight. There is an Orthodox Cross option available also. 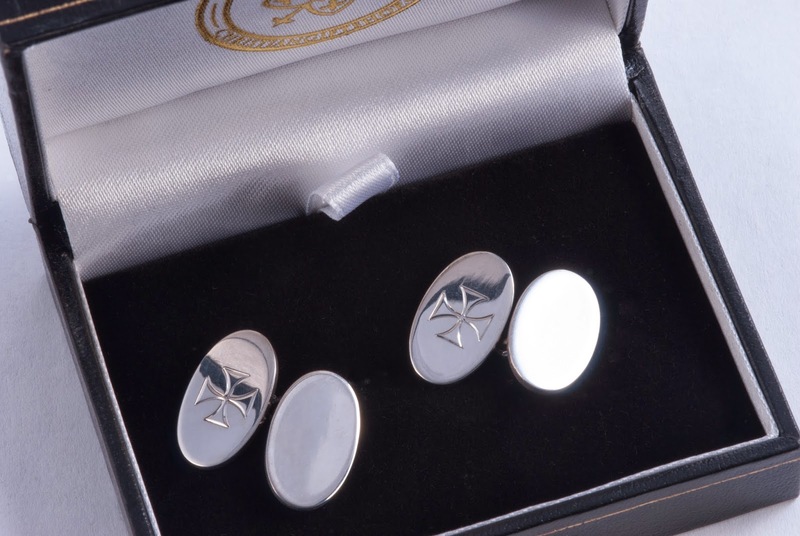 In silver these lovely cufflinks cost £96.00 and in 9ct gold, £425.00. 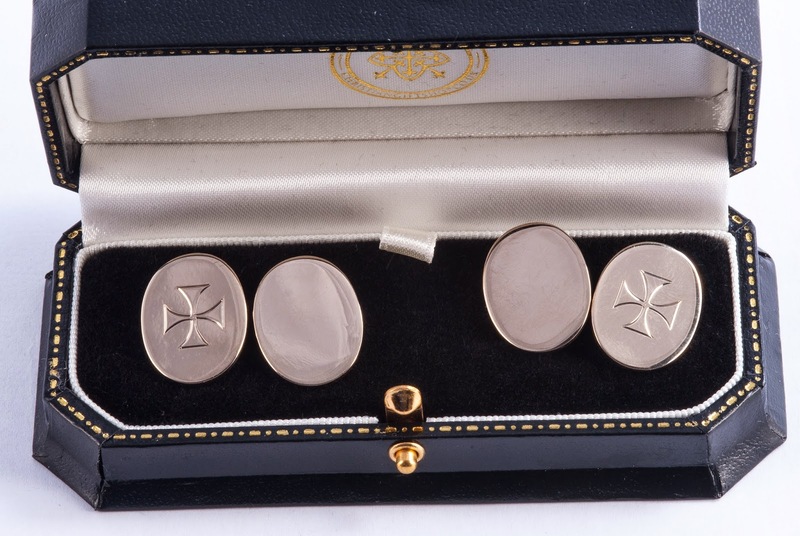 Our Grand Oval cufflinks are very heavy and luxurious. In silver they measure 19x15mm and weigh a whopping 19.6 grams costing £150, and in 9ct gold 20x15mm, weighing 16.6 grams, costing £847. Incidentally, they are available in 18 carat gold to order. The range of Grand Oval cufflinks come in a very elegant gold-tooled “Victorian” presentation box shown here. It is worth noting that these are thick enough to engrave with a family Coat of Arms which can be selected from the drop down options list, and are really exquisitely done in Bond Street. ChristianGiftshop.co.uk, as you might imagine, also stock crosses with designs ranging from classic to bling! The Katharine Cross, in size and style resembles, almost identically, one which Prince Michael of Kent was wearing in photographs taken before the Christening of his beautiful baby granddaughter, in America. 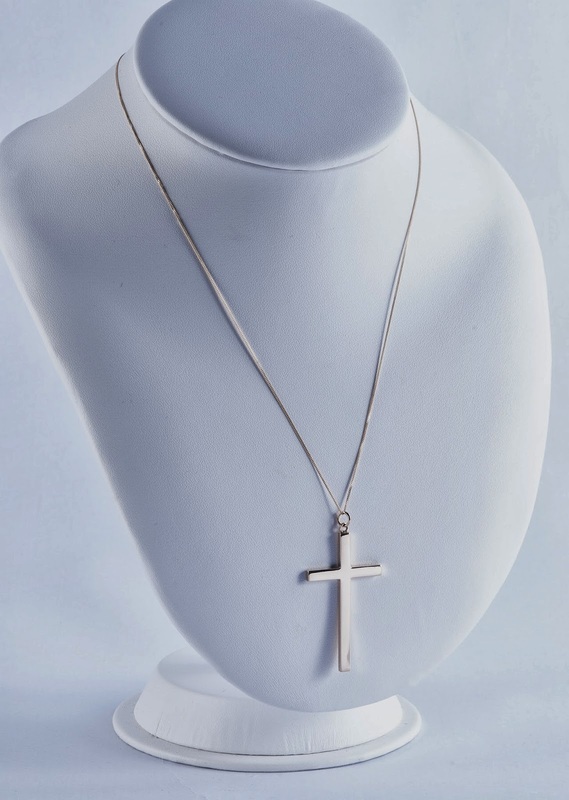 It is an exceptionally fine hand-made cross of the highest quality.